Vanessa Redgrave is many things to many people: actress, political activist, sister, mother. She was proclaimed the "greatest living actress of our times" by both Arthur Miller and Tennessee Williams and has starred in groundbreaking stage, film, and TV roles. She recently returned to Broadway in Driving Miss Daisy opposite James Earl Jones and, after each performance, would dilligently sign each and every Playbill for her adoring fans of all ages. At 77, Redgrave seems to have done just about everything—but shows no signs of stopping. 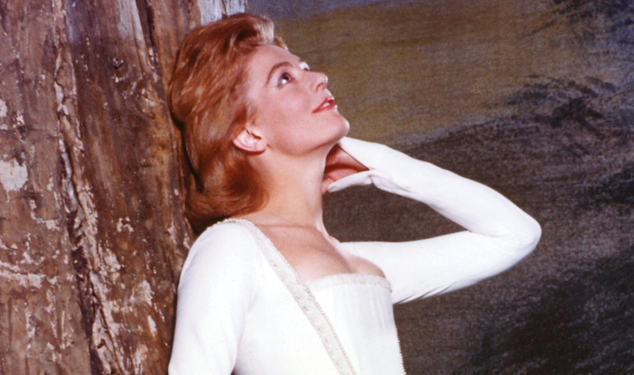 Author Dan Callahan has written the first biography of Vanessa Redgrave, titled Vanessa (available now), that exposes readers to her fame-making 1961 turn as Rosalind in the Royal Shakespeare Company's As You Like It, digs into her famous family (including her late daughter Natasha Richardson), and delves into her left-wing political activism. Callahan also makes the case that the iconic star of stage and screen should be seen as a gay icon. At least she is to him. We caught up with Callahan, who knows more about Vanessa Redgrave than we thought humanly possible, and asked him to highlight some of the Redgrave mythology and what she means to gay men and women around the globe. Vanessa, 416 pages, by Dan Callahan, is available from Pegasus Books.